Vestalemque focem mente fovere studet. Non aliter pereo species quam futilis umbræ. 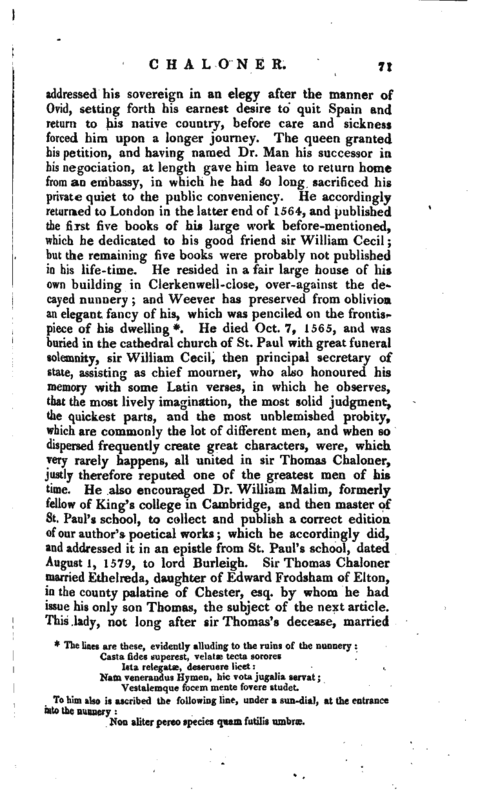 He died Oct. 7, 1565, and was buried in the cathedral church of St. Paul with great funeral solemnity, sir William Cecil, then principal secretary of state, assisting as chief mourner, who also honoured his memory with some Latin verses, in which he observes, that the most lively imagination, the most solid judgment, the quickest parts, and the most unblemished probity, which are commonly the lot of different men, and when so dispersed frequently create great characters, were, which very rarely happens, all united in sir Thomas Chaloner, justly therefore reputed one of the greatest men of his time. 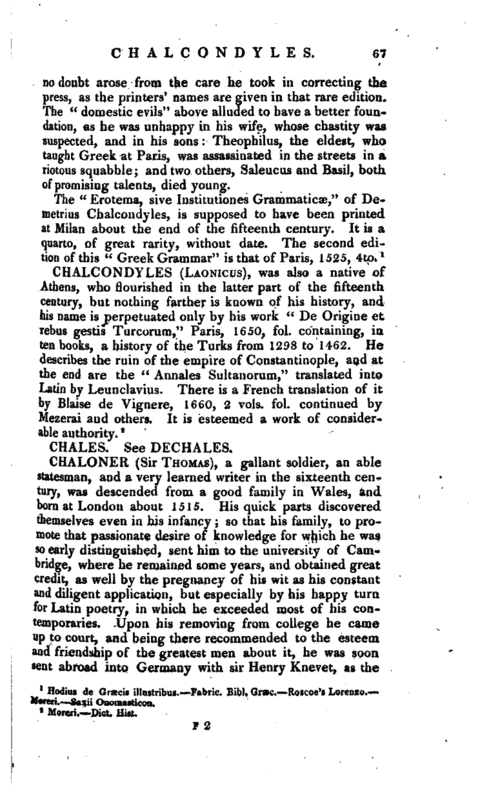 He also encouraged Dr. William Malim, formerly fellow of King’s college in Cambridge, and then master of St. Paul’s school, to collect and publish a correct edition of our author’s poetical works; which he accordingly did, and addressed it in an epistle from St. Paul’s school, dated August 1, 1579, to lord Burleigh. 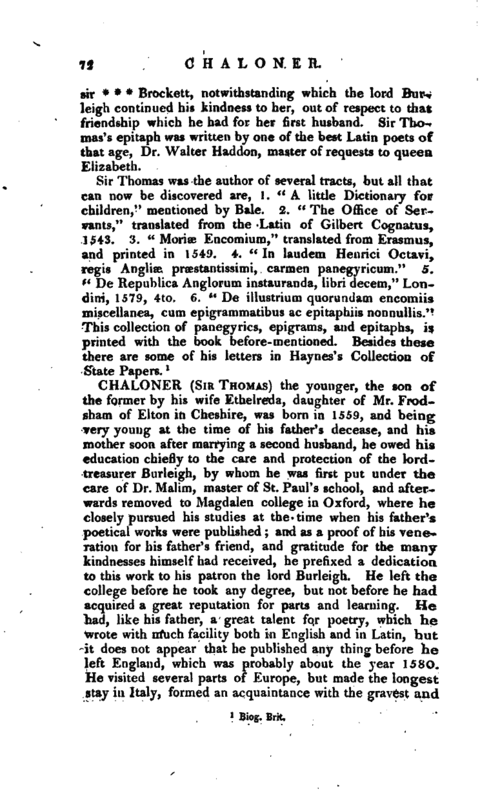 Sir Thomas Chaloner married Ethelreda, daughter of Edward Frodsham of EJton, in the county palatine of Chester, esq. 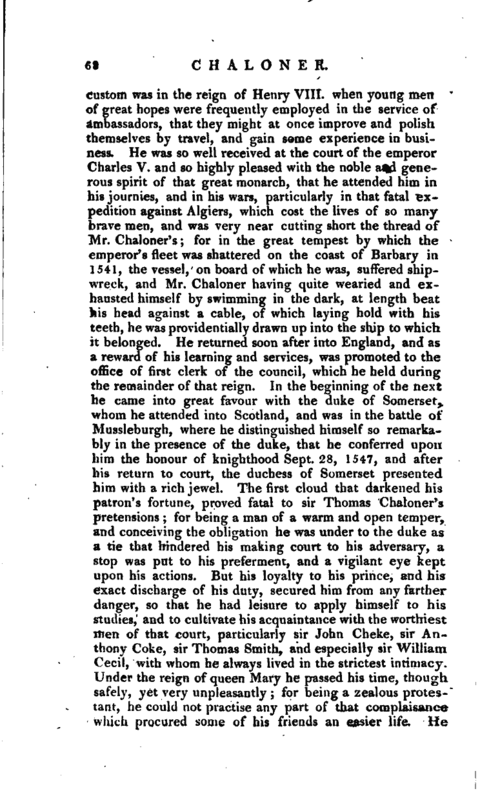 by whom he had issue his only son Thomas, the subject of the next article. 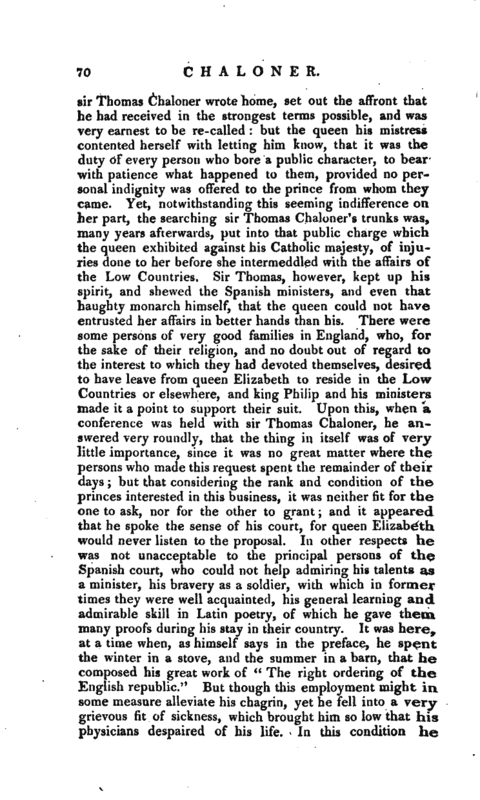 This lady, not long after sir Thomas’s decease, married | sir * * * Brockett, notwithstanding which the lord Burleigh continued his kindness to her, out of respect to that friendship which he had for her first husband. 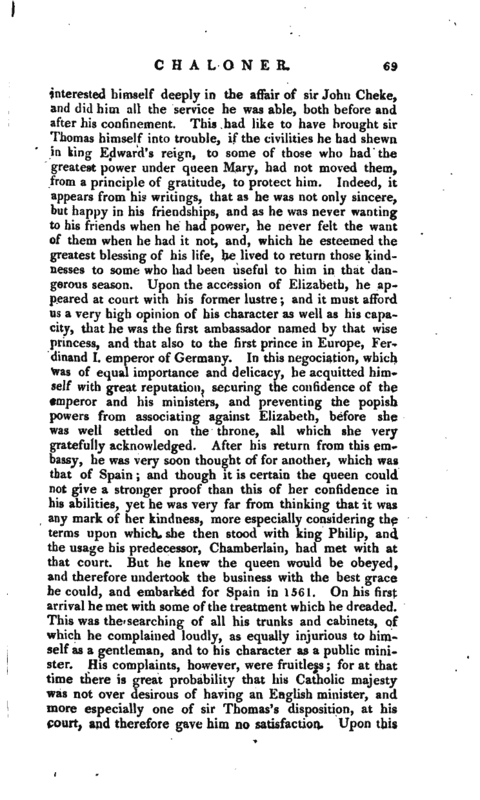 Sir Thomas’s epitaph was written by one of the best Latin poets of that age, Dr. Walter Haddon, master of requests to queen Elizabeth.